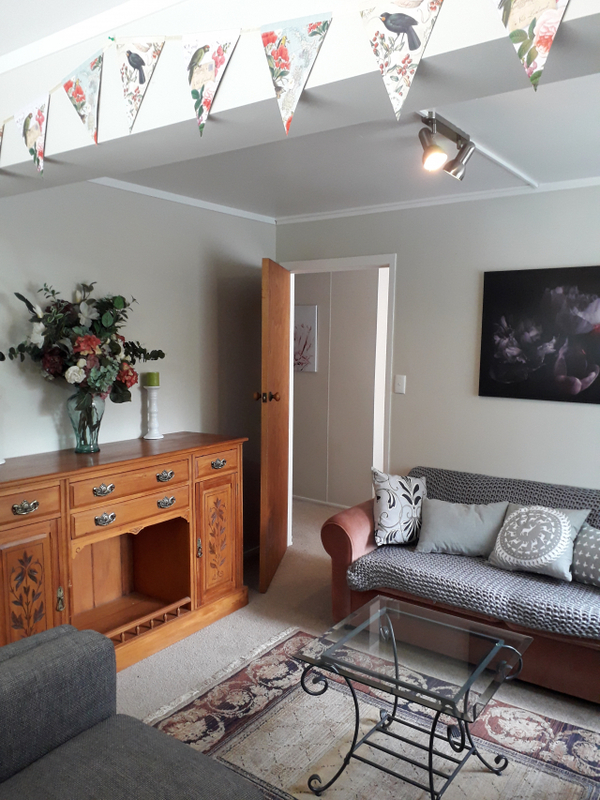 One bedroom flat to rent in a lovely quiet location in Havelock North. 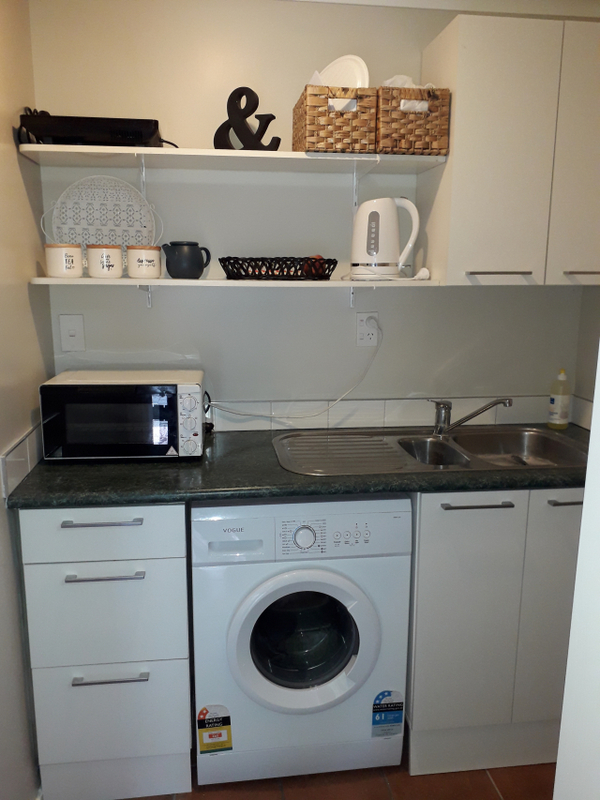 Flat is complete bottom floor of main house, with kitchenette which includes appliances, cutlery, crockery etc... and frontloader washer. 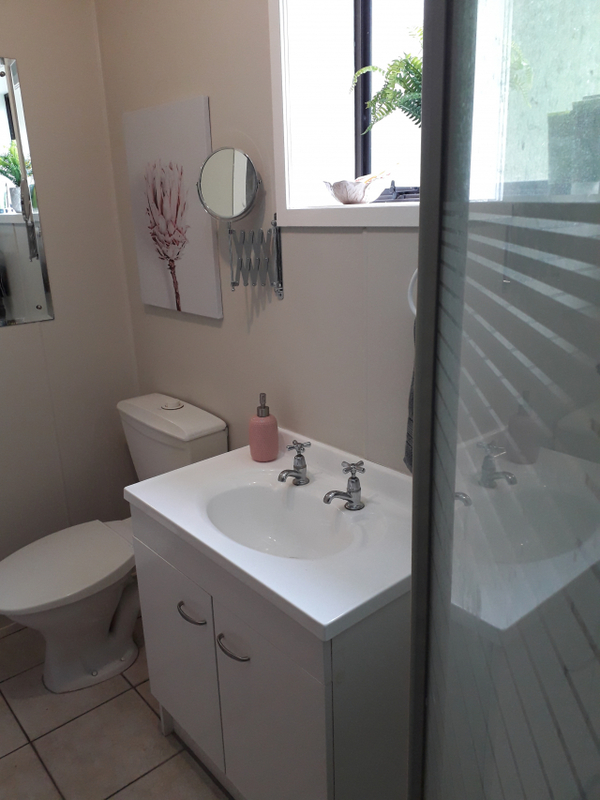 Bathroom with shower, a separate large lounge (new heatpump/aircon) and dining area. Lovely grounds and private entrance to nature walkway with abundant bird life. 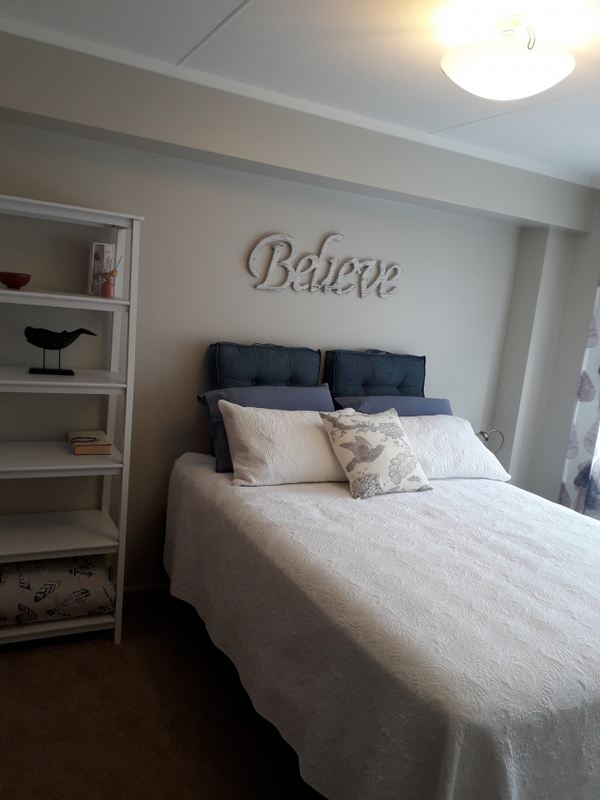 Flat has just been renovated and is beautifully decorated, fully furnished with a brand new hotel quality queensize bed. Power (reasonable use) internet (fibre unlimited) and one designated on site car park all included. Short, medium or 1 year leases considered for right tenants. $380 per week. Bond is 3 weeks rent. Suitable for quiet working single or couple. Please contact us for a viewing by email in the first instance. Tell us a little about yourself, with your contact details and I will contact you back.